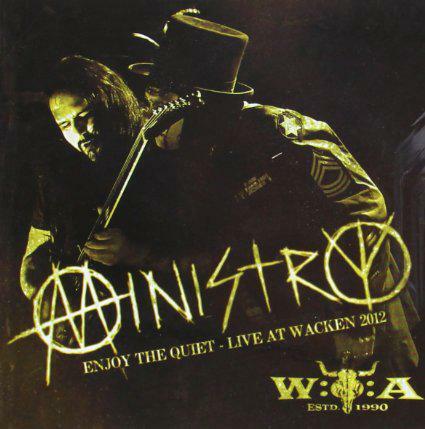 MINISTRY, the legend of the postpunk and industrial metal genres appears at the W:O:A®. This can only make a killer show and indeed, their two appearances from 2012 and 2006 featured on this DVD / double CD package smoke like the pits of hell. With an enormous passion MINISTRY blast through their sets filled with then current anthems and classics from their long time career in the metal community since 1989. Mastermind Al Jourgensen had his most venomous days on the stages of the WACKEN OPEN AIR as it seems and his guitar sidekick in 2012, Mike Saccia of RIGOR MORTIS fame, cranked out some simmering hot riffs and screeching leads from the neck of his guitar. This is more like a spiritual cleaning ritual than just a concert DVD and watching this you will definitely be swallowed by the great and authentical atmosphere. Audible and visual quality are enormous here and the 135 minutes of furious music will leave you devastated. MINISTRY are at their peak both of the times and do justice to their leading role in the industrial metal genre for they feel like a well oiled conscious machine going nuts onstage. This nifty DVD / double CD set comes in PAL format with a adjustable screen width from 16 : 9 to 1,78 : 1 and has an age limit of 12 years. One of the most unique bands ever.